Purpose of Form : For persons who wish to enter the United States legally after being deported, being removed or having voluntarily departed the United States without an order of deportation to reapply for admission to the United States, if they meet certain qualifications. Number of Pages : Instructions:3; Form: 2. If you are abroad, and intend to apply for an immigrant visa, submit this form to the Local Office in which your deportation proceedings were held. If you are concurrently applying for a waiver of grounds of excludability, file this application with the American Consul with whom you are filing your application for waiver. 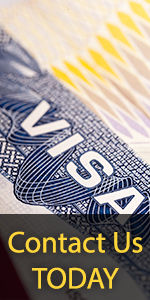 If you are abroad and intend to apply for a nonimmigrant visa or border crossing card, submit this application to the American Consul with whom you submit your visa or crossing card application, if instructed to do so by the Consul. If you are at a U.S. port of entry, applying for admission to the United States, submit this application to the Local Office having jurisdiction over that port. If you are in the United States and will file an application for waiver under Section 212 (g), (h), or (i) of the INA with an American consul, file this application and the waiver application with the American consul. If you are in the United States and are applying for adjustment of status under Section 245 of the INA, or are seeking advance permission to reapply prior to your departure from the U.S., submit the application to the Local Office having jurisdiction over the place where you reside.